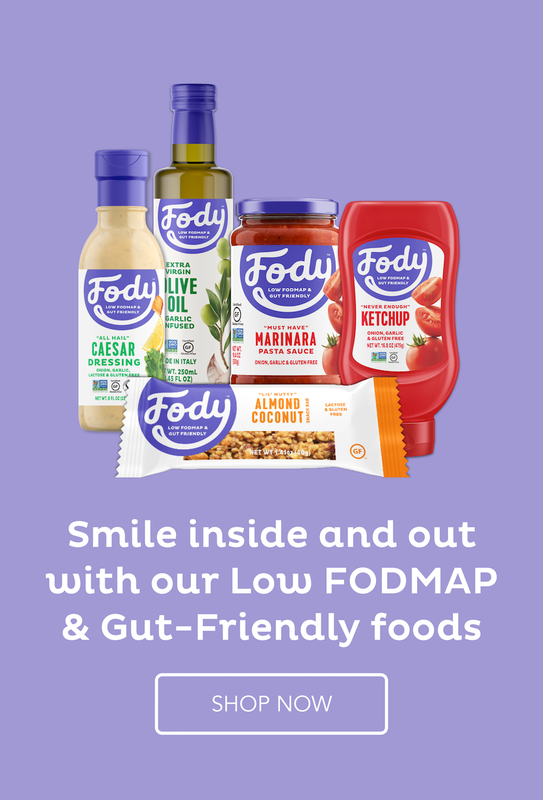 Many of you will know that before I discovered the miracle of the low FODMAP diet, I tried eating Paleo for three months to see if that would help my digestive issues. It helped my low blood sugar issues but my main issues not only didn’t improve they got worse. The reason for that was that I was substituting the banned refined sugar with fresh and dried fruit. Those who need the low FODMAP diet nearly all have major issues with fructose absorption. In fact, we can’t absorb it by itself at all. Whereas we have no problem absorbing sugars with low fructose or equal fructose to glucose content because the glucose helps it to be absorbed. I had banned the very sugar which I could eat and was using all the sweeteners that caused me problems. Unknowingly, of course. I was also eating more vegetables in an attempt to keep up the calorie intake since all grains are banned. And many vegetables are high in FODMAPs as well. So that’s to clarify why I no longer eat Paleo. But that is not to say that it isn’t a useful way to eat. In fact, there are hordes of people who now swear by the Paleo way of life and they can’t all be wrong. Many people have had lifelong issues cured by following this eating regime. We are all individuals with o ur own dietary needs and any diet which excludes processed foods and takes you back to the basics before chemicals were poured into our food is a great place to be, and I support it wholeheartedly. A friend of mine, Jessica Espinoza, has been following the Paleo diet for a long time now and there’s not much she doesn’t know about it. Jessica who has the highly popular blog, Delicious Obsessions, has just published an e-book called “Keeping it Real”, which not only has a heap of delicious recipes but gives you plenty of information on how to eat healthily. In fact, this e-book has 200 pages and has taken her over a ye ar to write. It is a meaty book which will absorb your attention, and then you will get to the recipes and you will be smitten. There are also plenty of lovely photos throughout to whet your appetite. Jessica is selling this for only $16, which to me is a bargain. Interesting article about the fodmap vs. paleo diets, Suzanne. And that book does seem like such a great resource ! If you are wanting to try Paleo, Julia, it will fit the bill with information and recipes. Sounds like an interesting book. Always great to learn about new resources — thanks. There are so many wonderful resources out there now, John, but it’s about finding them among the noise and fluff. The Paleo diet has helped a lot of people in the Facebook groups I frequent and they have nothing but great things to say about it. I agree – it’s the real food part I follow pretty religiously. You’re welcome, Jessica. You have written a great book.